We’re told from an early age to brush our teeth twice a day, but do we know how to do it properly? Brushing is just one of the many rituals we’ve been taught to observe to preserve our pearly whites, and while it might seem like a basic task, there is more to it than meets the eye—and getting it wrong could have serious consequences. 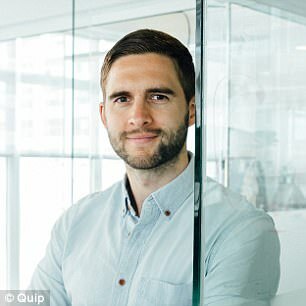 From keeping your toothbrush safe from bacteria—hint: that neighboring toilet seat is not your friend— to why you should never rinse your toothpaste-coated mouth, Simon Enever, the founder of trendy electric toothbrush company Quip, and dentist Dr. Mark Burhenne reveal their tips for truly healthy brushing. It sounds elementary, yet a shocking half of the US population doesn’t observe this well-known bit of dental wisdom. 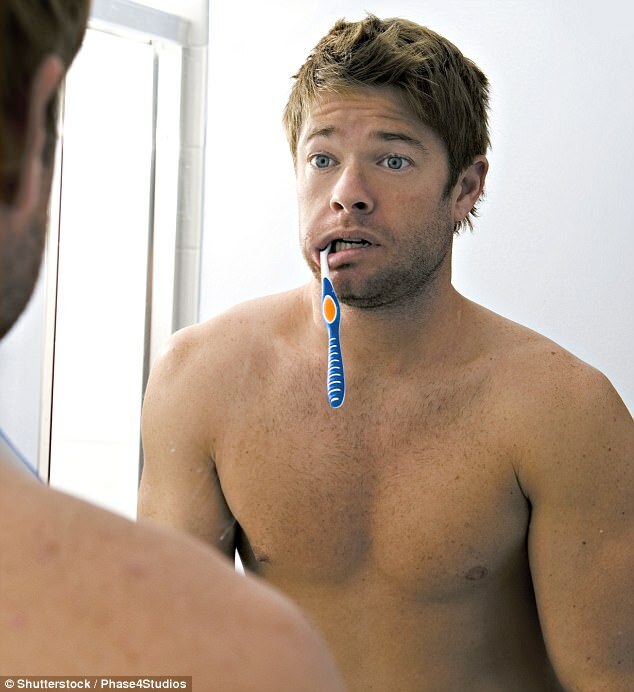 Brushing your teeth before bed is especially important, because plaque forms most easily during sleep. Bits of leftover food, combined with the fact that your mouth is drier at night than during the day, create a particularly plaque-friendly environment. So brushing away food debris before you sleep, and then removing any plaque that was able to form overnight when waking in the morning, is crucial. Most of us believe we should brush our teeth after a meal, and while this is partly true, there are times when it is best to brush them before a meal. Eating food, particularly acidic food, can soften the enamel temporarily. Brushing teeth while the enamel is softened in this way can wear it away more easily. This can, in turn, lead to sensitive teeth and expose the yellow dentin below the enamel (this explains why the base of your teeth might look more yellow than the rest). So make sure to brush before you eat (as soon as you wake in the morning) or 30 minutes after—and make sure it’s the last thing you do before sleeping at night). You don’t need an inch of toothpaste, despite what some ads might suggest! In fact, using too much toothpaste can work against you and make the product less cleaning, not more. By using a a pea-size dollop of toothpaste, you’ll waste less, save money, and clean your pearly whites better. If you worry it might not be enough, remember: toothpaste is only one part of the good oral hygiene equation. We have been led to believe the point of brushing is to remove stains from the surface of the teeth. But saliva, water and eating do a great job of protecting our precious enamel from stains. The true focus of brushing is to remove debris from hard-to-reach spots, such as the gumline and the area between the teeth. So focus less on brushing the ‘front’ of your teeth and instead angle your bristles towards the area where each tooth meets the gum. Then, wiggle the bristles back and forth to help them get into the tight gaps. Hard brushing can not only cause receding gums and damage enamel, but is actually less effective at cleaning than soft brushing! When bristles are pressed too hard, they wear quicker and cannot get into the crevices they need to reach, leaving more stains and more debris in the mouth. A great tip for making yourself brush gently is to hold the brush in your fingertips like a paint brush, not in the palm of your hand. Many people brush their teeth by mimicking what they’ve see in the movies, using wide, fast brush strokes that cover several teeth at a time. Unfortunately, this causes the bristles to simply bounce off the surface of the teeth, with no chance of getting into those hard-to-reach places. Instead, you should be going one tooth at a time, gently wiggling the bristles around the gumline and gaps of each individual tooth. The hidden crevices of your teeth are the ones most likely to end up covered in plaque, yet many people never brush them at all. Go slow, tooth by tooth, and make sure to brush the front, top and back crevices of each one. Two minutes isn’t a magic number, but if you’re brushing for less, it’s unlikely you’re covering each tooth adequately and in the careful manner described above. Making sure to brush for the full two minutes will ensure your ivories are really clean. Your tongue can harbor bacteria, which can cause bad breath and other issues. Brushing or gently scraping your tongue after taking care of your teeth is just as essential as the rest of your routine. Most people rinse their mouth with water as soon as they finish brushing, but it’s far from ideal, as it doesn’t let your toothpaste work its magic. To allow your anti-cavity toothpaste to take full effect, it’s best to leave it on your teeth for a few minutes. So spit out your toothpaste, but try not to rinse out with water until 30 minutes later. Most Americans only change their toothbrush once or twice a year, but the experts say you should actually treat your pearly whites to new bristles every three months. Brushes can become unhygienic after a while, particularly if you have been ill in that period. 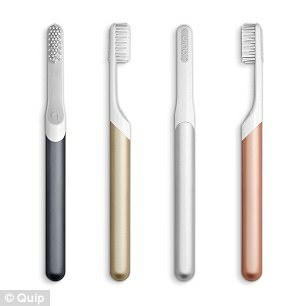 More importantly, their bristles become worn and bent, which stops them from getting in the gumline and into tiny gaps, rendering them useless at cleaning. Every time you flush your toilet with the lid up, poo particles are thrown into the air. So put the lid down when you flush, wash your hands, and store your brush as far away from this poo-projector as possible. Bathroom air isn’t the freshest, but giving your brush no air by storing its wet, densely packed bristles in an enclosed cover is asking for mold and bacteria to grow and is not recommended. Instead, store your brush with bristles out and let it dry in the air—not too close to your toilet. The container you use to store your toothbrush also becomes a hazard with time, so be sure to clean it occasionally. Medium and hard bristles can be too harsh on gums and do not actually clean better. Meanwhile, bristles branded as ‘natural’ can be too thick to get into tight spaces and too hard on gums. As for overly angular and patterned designs, they might seem flashy, but they can wear out unevenly over time. Go with soft (or extra soft) bristles with a simple design. They are gentle on gums, wear evenly and can squeeze into the tight crevices. Tooth-brushing has become such an unconscious activity, many of us think we brush the proper length of time, when we don’t. Some electric brushes come with a timer, which can help observe the full two minutes. Buzzwords used to describe the different types of electric brushes, as well as their various movements and modes, can mislead or confuse consumers. But go with any safe and sensitive electric toothbrush you enjoy using. These tend to help people bush better and longer, regardless of the type of movement or modes they have.